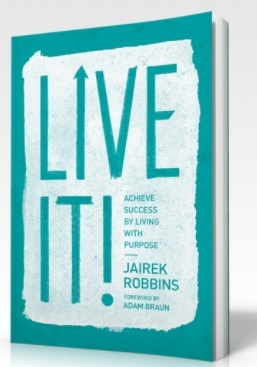 Jairek Robbins is a man dedicated to helping professionals like you Achieve Success by Living With Purpose in your life and business. At only 23 years old, Jairek was awarded the Congressional Award (Gold Medal) from the United States Congress. He has conducted trainings for a variety of companies & organizations including... The United States Marines & Air Force Special Forces, BMW, REMAX, UBS and members of the U.S. Olympic team. He is a trusted advisor and board member to a variety of different companies and has founded 2 of his own. We have custom tracking systems & tools that allows us to track everything from clarity of mind, breath patterns, sleep quality…etc. to help the entrepreneurs we work with stay at their absolute best 24/7. We track them daily and make sure that they are constantly fine tuning for optimum performance. To continue building our team of world class coaches so that we can reach our goal of coaching 500+ high performing entrepreneurs daily with-in our organization. Receiving a message from a woman who was in the United States Air Force who was struggling with sever PTSD and was considering taking her own life multiple times. She read my book and in the pages found her “reason to live”. She was writing to say thank you for helping her find a reason to live for. Its priceless to able to reach someone when they need you most with the message they most need to hear. Tons. Learn from them and keep moving forward. Learn it, Live it , Give it. Learn what it takes to live the life of your dreams, go out and live it fully! Once you get the results take time to GIVE IT and pay forward all that has worked for you. Also doing one on how to optimize intimate relationships!